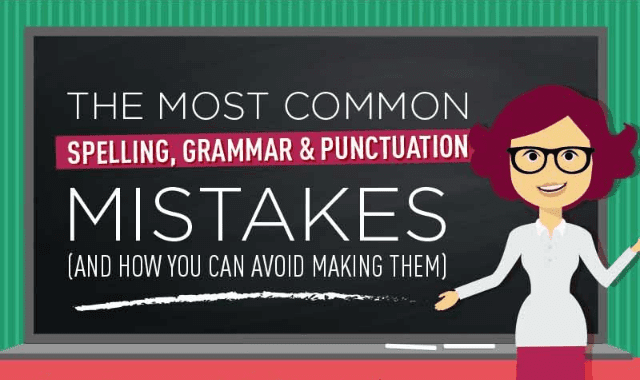 The Most Common Spelling, Grammar And Punctuation Mistakes #Infographic ~ Visualistan '+g+"
Clear written communication is important for everyone, no matter what college or career path you choose. Mistakes with punctuation, spelling and grammar could lower school grades and limit career growth. Exceptional writing skills will carry you through life. The following infographic by Bid4Papers looks at the most common spelling, grammar and punctuation mistakes.